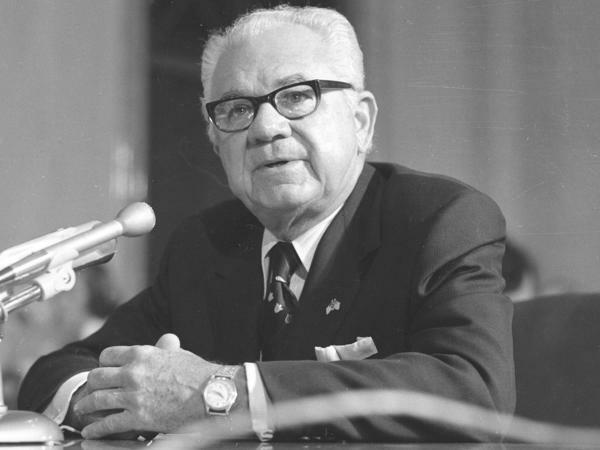 Houston attorney Leon Jaworski spoke with newsmen after being named Watergate special prosecutor on Nov. 1, 1973. His long-secret "road map" may soon become public. Justice Department special counsel Robert Mueller in the Capitol. A long-secret "road map" from the Watergate era, which could soon become public, might show the way for Mueller's office. One of the last secrets from the Watergate scandal could soon be revealed. A federal judge in Washington has ordered the National Archives to review key documents that have remained under seal for 44 years and prepare for their release. Those papers, known as the "road map," helped advance the impeachment effort aimed at then-President Richard Nixon. They've been under wraps since then but scholars say they're newly relevant today as President Trump faces down a different investigation. Leon Jaworski, the special prosecutor who investigated Nixon, told an interviewer in 1977 that preparing the road map amounted to one of the most critical moments of his probe. "We succeeded, which was the first [time] in history, to get the courts to permit the grand jury report to go to the House Judiciary Committee because the committee would have had real difficulty in doing its work. Way behind. It hadn't gotten off the ground," Jaworski said. The document was a detailed list of evidence his investigators had gathered. "We called it a road map in our office because it was just that," he added. Jaworski and his attorneys and investigators compiled much more evidence and information about the Nixon administration's transgressions in Watergate than congressional staff members likely ever could. The Justice Department held that the president could not be indicted, however. Accountability required impeachment, which must begin in Congress — in the House Judiciary Committee — and Jaworski's office set down a plan for how, legally, to transmit their work to members of Congress. Although articles of impeachment were considered in the House, Nixon resigned before the process went forward. And for more than four decades, Jaworski's road map remained a secret, placed under seal by the federal district court in Washington on orders of the judge who presided over the Watergate cases. That secrecy persisted to protect the work of the grand jury in the case — which, like that of all grand juries, is confidential — but not for lack of trying. In 1997, Stephen Bates was working for the independent counsel investigating President Bill Clinton. Bates was looking for precedent for how a special prosecutor might send an impeachment referral to Congress. "The National Archives let me see a lot of stuff from the Watergate special prosecutor that was very interesting," Bates recalled in an interview with NPR. But when I asked to see the road map that was sent up to the House by Leon Jaworski, they said no." Bates tried again years later, but the answer was the same: no. Last month, he and others petitioned the court to release the Watergate materials. Then on Oct. 11, in a related case, Chief Judge Beryl Howell of the U.S. District Court in Washington largely agreed. The judge's order described the road map as a "two-page summary, followed by 53 individually numbered statements." Nearly 100 documents backed up those assertions. The documents are mostly a matter of public record, but she wrote that 16 of them appear to be new. So the judge directed the Justice Department to review those new materials, contact any surviving people whose privacy rights may be implicated, and check to see whether they object to the release. For the other papers, the judge said, the National Archives should review and publish them promptly. Lawyer Larry Schwartztol has been representing Bates and other people seeking the release. "It's relevant to historians, it's relevant to the intrinsic, ongoing interest in Watergate," said Schwartztol, of the nonprofit group Protect Democracy. "That alone would be sufficient to justify releasing this material. But there's real urgency in this instance to getting the road map onto the public record." Urgency, Schwartztol said, because another special counsel is on the job now, investigating whether the Trump campaign might have conspired with the Russian attack on the 2016 election. 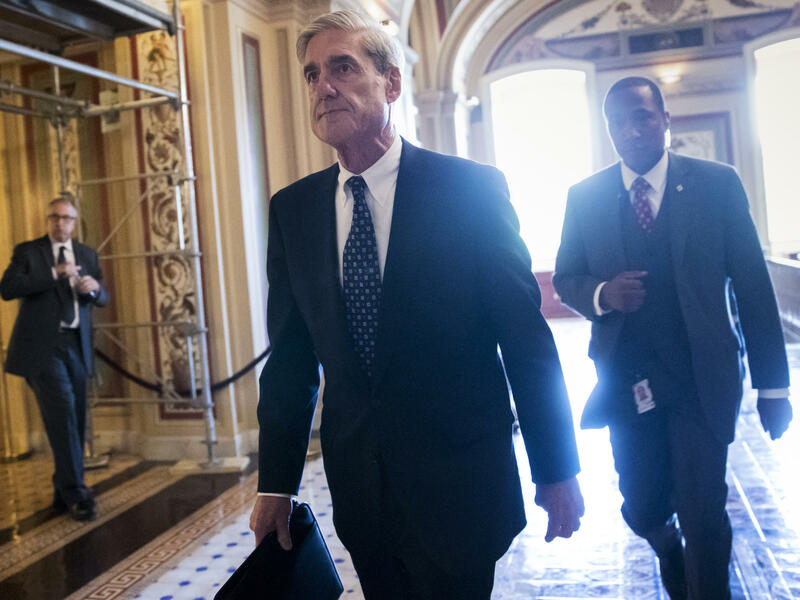 One of the big questions about the end of Robert Mueller's investigation is whether he'll try to send a report to Congress or the public. "Some 21st century variation of the so-called road map is something that the Mueller team has very likely considered," said Jon Sale, who worked on the Watergate prosecution team as a young attorney. Sale's boss on the Justice Department's Watergate team was James Quarles, who now serves as Mueller's deputy. But Sale, who now works in private law practice at the Nelson Mullins firm in Miami, told NPR that unlike Richard Nixon, Trump's legal team is likely to object to any such material going to Congress. In fact, Trump's personal lawyer, Rudy Giuliani, has already signaled he would fight in court to stop lawmakers from seeing a referral if Mueller tried to send one.